Call (828) 264-1660 for salt spreaders for sale at Triplett & Coffey. Get snow removal equipment like a Boss salt spreader or SaltDogg spreader for sale. 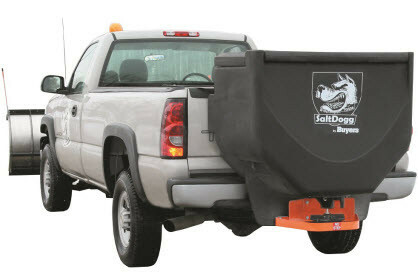 A SaltDogg salt spreader or BOSS salt spreader from Triplett & Coffey is just a phone call away. If you're searching for a SaltDogg spreader for sale in Boone, look no further than Triplett & Coffey. For over three decades, we've been helping people in Watauga County with the best in snow removal equipment by offering you a choice of a BOSS salt spreader or the ever-popular, SaltDogg spreader. To find out which may be the best option for you, make sure you contact us today. We'll be happy to discuss each of the spreaders so you can make an educated decision about your next purchase. Using salt spreaders are great for people who have larger properties or for those who own a business. Some buyers own a commercial building that needs salting. Others have a company that specializes in snow removal and need equipment. Whenever your situation might be, you'll find a number of salt spreaders for sale here to meet your particular needs. All it takes to get started is a quick phone call or e-mail to us. Just take a few moments to tell us a bit about your snow removal equipment needs and we’ll be in touch as soon as possible.